The combination of Basic Seminar Modules 1 and 2 serves as the perfect guide to choosing the best investment for you, based on your income and lifestyle. Designed to complement each other, these seminars provide powerful tools and strategies to help you jump-start your financial journey! 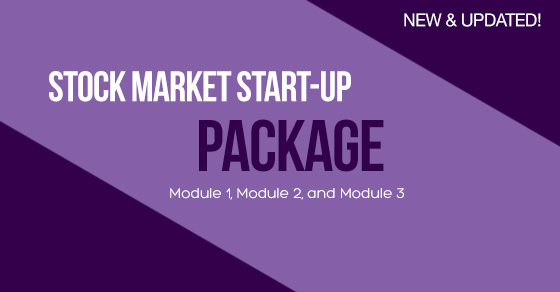 Bundled with module 3, this powerful online start-up course will boost your understanding of long-term investing in the stock market, and will equip you with the most necessary skills in fundamental stock analysis. 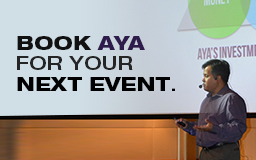 Learn how to become a successful stock market investor with Aya Laraya, as he shares with us his 25+ years of experience and expertise in the stock market, in simple and easy-to-understand language. As an award-winning blogger, and former TV Show host, Aya is not only informative, but also entertaining and insightful, using the most down-to-earth examples to explain complex financial concepts. Aya Laraya is a Certified Securities representative, Certified Investment Company representative, realtor and a writer with an MBA from University of Western Australia. Availing the Stock Market Start-Up Package allows for unlimited 60-day access ANYTIME and ANYWHERE, guaranteeing your utmost convenience. Click on the “Pay Now” button to avail of this seminar today! Once payment is confirmed, you’ll receive an email from us, within one (1) working day (Philippine Time), containing both your username and password. Don’t forget to check your spam folder. If you don’t receive an email, call us at (02) 419 4173 or email us at seminars@pesosandsense.com with the subject: Online Seminar. Just send us an email at seminars@pesosandsense.com for other payment options.